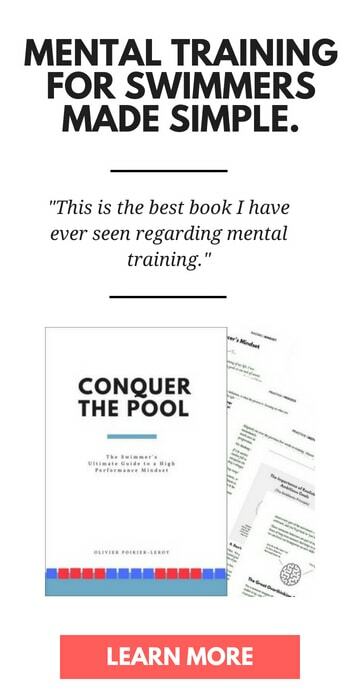 Want the wet-suit experience in training? 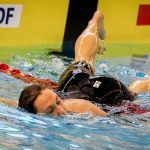 Here’s how neoprene swim shorts can help prepare you for competition, improve your body position in the water, and swim faster in training. Triathlon is a sport that attracts a diverse set of athletes. 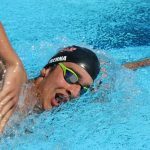 For beginner and even novice triathletes, the swim tends to be the most confusing and difficult part of the race to train for. Throw swimming in open water into the mix, and the swim can suddenly look a whole lot more daunting. 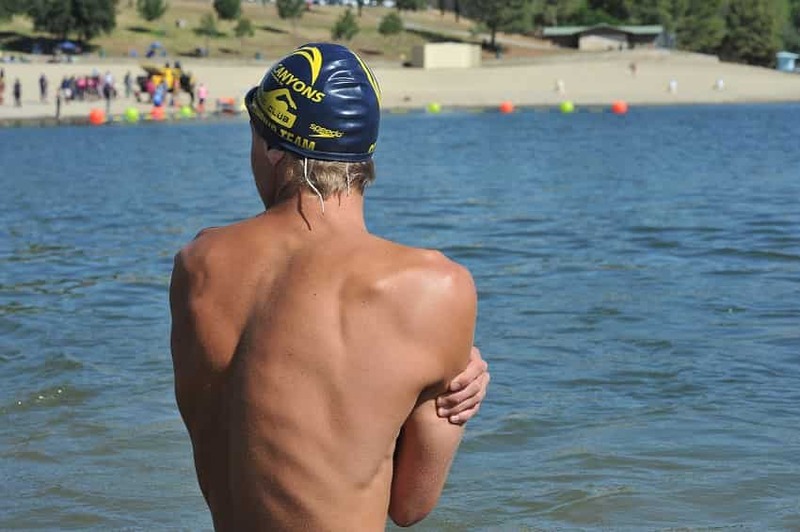 Fortunately, there are plenty of different types of essential gear for open water swimming and triathlons that help make the swim go smoother. 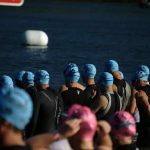 From open water swimming goggles to tri wet-suits, there’s lots of ways to prepare for open water races. One of my favorite tools in the triathlon gear toolkit are neoprene buoyancy swim shorts. How do neoprene swim shorts help? Buoyancy shorts are made of the same material as wet-suits. (Neoprene, in case you haven’t been paying attention, so far.) Generally thick, ranging from 2-4mm, and cut in the same way as a jammer, these shorts give you a sense of buoyancy in the water. 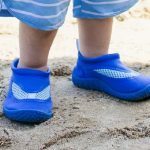 First, it will help mimic the floaty-ness that you experience while wearing a wet-suit or even a swimskin in competition. Things like your distance per stroke and stroke rate change depending on the suit you are wearing, so wearing neoprene swim shorts in training can help you better train the way you are going to race. Training with a wet-suit at the pool may seem like the obvious thing to do, but by working out in a wet-suit in a warm pool you run the real risk of over-heating. Pro tip: How to make your neoprene swim shorts last. You invest a lot of money into your triathlon equipment, so why not take the little steps necessary to extend the life of your equipment? With neoprene swim shorts, all you need to do after swimming in a pool is to lightly rinse the shorts under water. Avoid exposure to soaps and shampoo where possible. 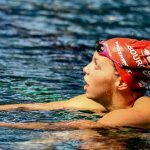 Similarly, showering down before you get into the water makes it harder for the suit to absorb chlorinated water during your swim practice. Second, that buoyancy will improve your hip position in the water. You know that pull buoy that you love to throw between your legs when it feels like your kick is doing you more harm than good? Well, neoprene swim shorts can give you that same flotation while giving you an opportunity to continue kicking. 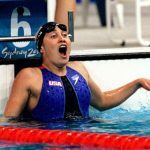 This is especially helpful for poor swimmers or triathletes who struggle with a fish-tailing over-kick. The buoyancy helps you relax and worry less about trying to alleviate bad hip position. Third, and lastly, the shorts give you a sense of what it’s going to be like swimming in open water with your wet-suit. 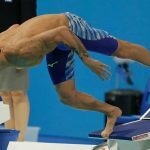 While training suits for swimmers are cheap and durable, neoprene shorts will better prepare you for the sensation of racing. Alrighty, with all the perks behind us, let’s get into our little list of the best neoprene swim shorts for triathletes! Like most Roka products, whether swimskins or goggles, their contribution to the neoprene swim short collection are feature-rich, with 100% Yamamoto neoprene and SCS coating (that’s what gives the shorts the “glossy” look). The Roka Sim Pro has smartly designed side paneling that helps encourage a fuller hip rotation when swimming, while a slightly elevated lower back cut helps for swimmers who have, ahem, smaller butts. Updates from the original suit include a “sticky” inner waistband that helps to keep the suit in place, and a fine-tuned fit that is designed to accommodate more body styles. 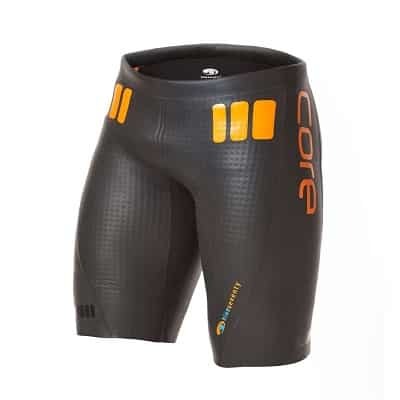 Made of the same material as their premium wet-suit, the Helix, the Blueseventy Core shorts have a water-repellent inner layer that makes the shorts comfortable to slide into and swim with. One sneaky little benefit of the shorts—that we aren’t terribly sure that Blueseventy planned on when designing them—are the graphics on the side of the swim shorts that help pool-side coaches see if their athletes are getting the proper amount of rotation with their hips. When it comes to sizing, the Blueseventy Core comes in five different unisex sizes. If unsure, go on the smaller side as tightening the drawstrings won’t help to secure a baggy fit. 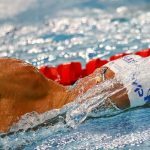 California-based TYR is a powerhouse in the aquatic sports universe, from sponsoring top level surfers, swimmers, and triathletes. While their line-up of gear for triathletes isn’t as thorough as Roka or blueseventy, they do make some great kit. The TYR Hurricane swim shorts are made completely of neoprene. 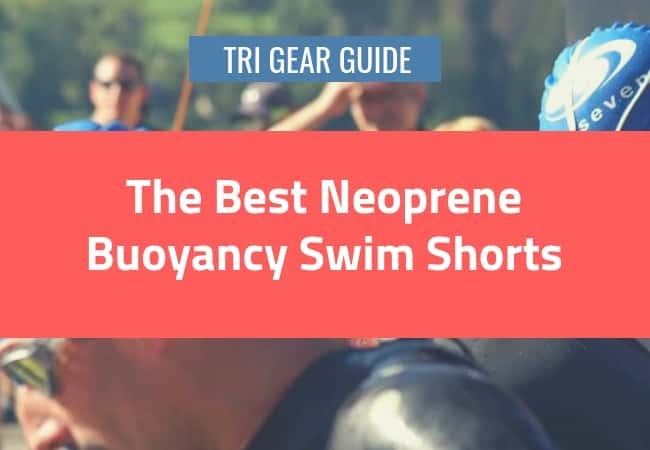 Unlike some of the other buoyancy shorts on this list, they don’t have an inner jersey layer. The unfinished neoprene on the inside is surprisingly soft and comfortable. With four different sizes, the TYR Hurricane swim shorts also come in as our best value pick on our little list. With a name like EpicSpeed you can’t help but hope for big things. Synergy, one of the value-priced players in the triathlon and open water swimming space, deliver in spades. These slick looking swim shorts are built with five panels of 5mm and 3mm neoprene that are designed to stretch enough to give you a comfy fit while also giving you that sense of compression you get from great-fitting apparel. The Synergy EpicSpeed shorts come with the things you have seen from most of the shorts so far, including a drawstring to secure the suit and tapered leg holes to keep water from seeping in. The inside layer is extra soft to remove every triathlete’s worst enemy—chafing—from the training experience. Shiny, buoyant and comfy, the Xterra Lava Shorts are made of 5mm neoprene. 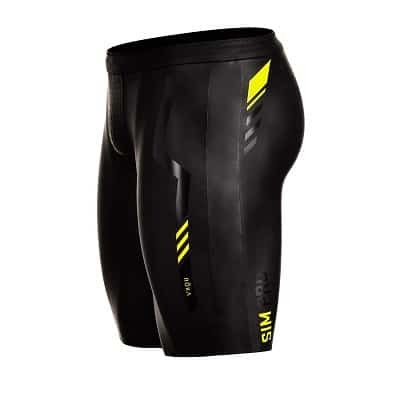 The swim shorts are cut in a way that is slightly lower in the front than in the back and are certified by USAT and WTC for racing when wet-suits are permitted. The Xterra Lave swim shorts come in seven different sizes, from XS (18”-22”) to XXL (42” and up), and Xterra fully backs them with an industry-leading one year warranty.